I'm back from Dallas, and wow! I've never been to a convention that huge or that full of energy. 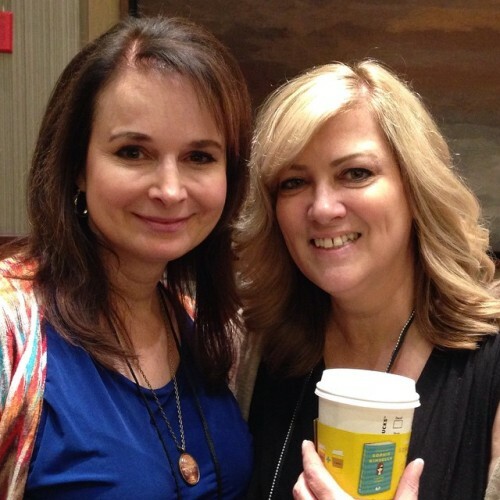 There were fabulous workshops and bookish events. I got to embarrass myself at the YA slumber party in my pajamas. I met some die hard Eight fans, and hopefully created some new ones-- interacting with readers is always so much fun and one of my favorite things about being a writer. 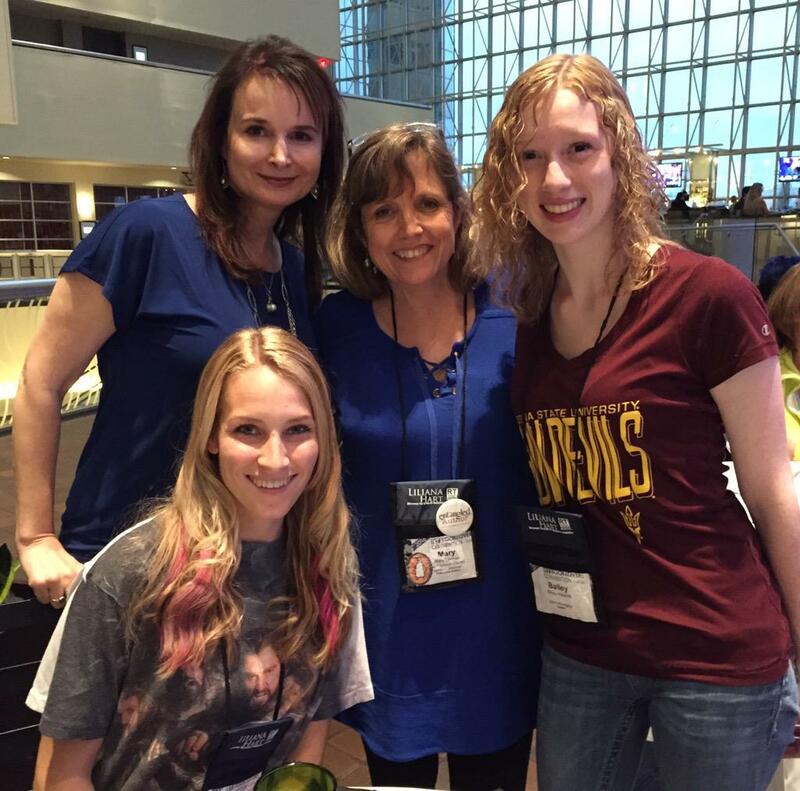 Plus I got to fangirl over some of my favorite authors and discover that they were the BEST people in person. The AMAZING and gorgeous Brenda Drake, who was in one of our early First Five Pages workshops, went on to start Pitch Wars and get a fantastic pub deal. SO excited for all her success -- and she's the loveliest person ever. The whole week was crazy, but also incredible. Now I have a year to recover before the next one! In the meantime, I’ve teamed up with the YA Chicks and many participating authors on a global campaign to encourage readers, writers, students, and teachers to share pictures all of the places—both ordinary and extraordinary—where they are reading and writing. This is open to all readers/writers of both middle grade and young adult books! 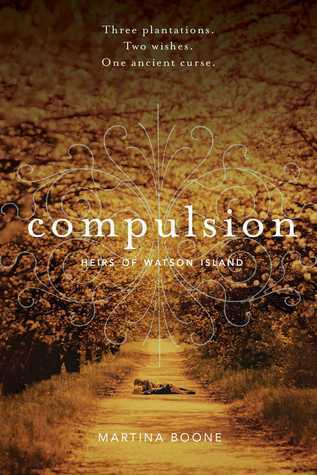 I’ll be giving away a signed hardcover of COMPULSION plus a lovely bunch of swag plus a Skype visit. TONS OF BOOKS TO GIVE AWAY! If you don't have this book on your TBR, you're going to be missing out! Home of the Cowboys . . . Romance cover models walking around all week . . .
Over 600 authors attended . . .
Over 2500 eager readers were there . . . Teen day with signings, pizza, and parties with free books galore . . .
Once you’ve figured out where I’m reading, head over to the YA Chicks site and officially enter the giveaway by inputting each author’s name and your guesses about our locations. Every author location you guess correctly increases your chances to win. 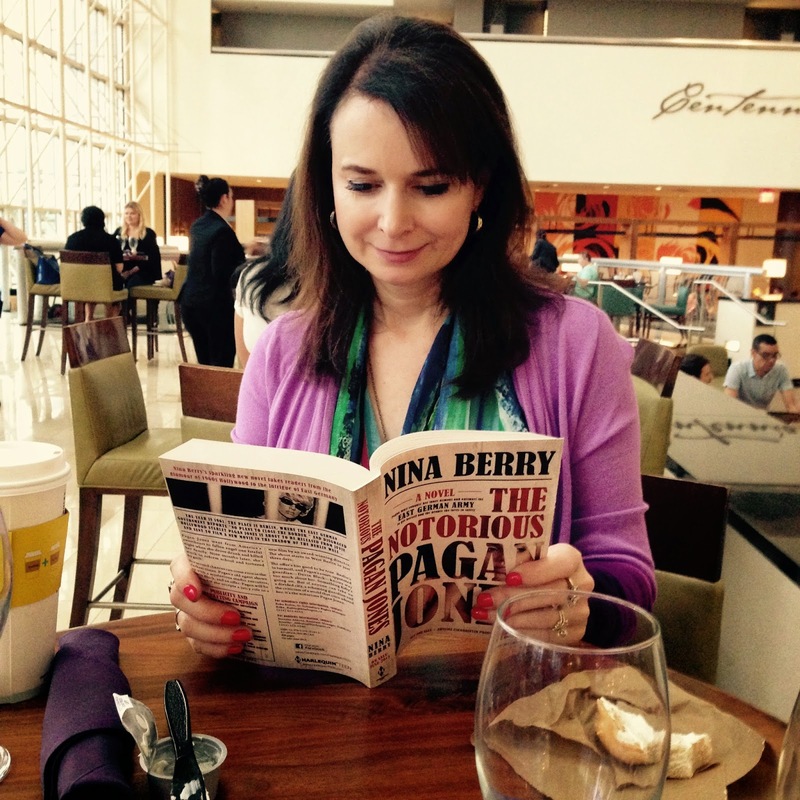 Post pictures of yourself writing in a fun location on Twitter or Instagram using the hashtag #ReadOrWriteAnywhere. Follow the directions on the Rafflecopter giveaway to let us know you did it. 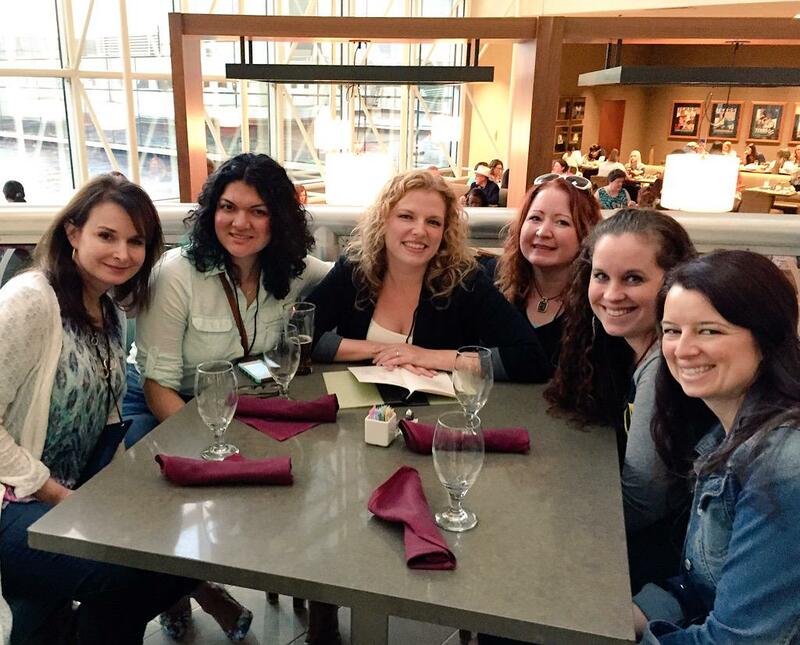 Gather your writer friends together and post a group shot with the hashtag #ReadOrWriteAnywhere (must have the hashtag). And hey, since you're already together, why not host a write-a-thon? 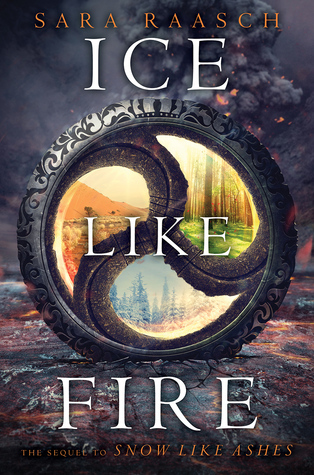 I've got a hardcover of Sara Raasch's SNOW LIKE ASHES and an ARC of the sequel ICE LIKE FIRE. Are you a fan? Jump in and grab them for yourself. And don't forget to stop by the blog every Monday and Tuesday for lots more giveaways! I think it's depending on what I'm in the mood for. By the way; I love paranormal, science fiction and mystery. Those genres always catch my attention really easy! I like many but I tend to read them in spurts. YA, NA, dystopian, UF, Sci-Fi, historical romance, and a few mysteries. I depends on the book, but I absolutely love fantasy. There is something about make-believe worlds, dragons, and magic that make me happy. I love fantasy and sci fi! Historical fiction is my favorite but I also love mysteries and horror! I really like YA, especially fantasy, then SF, historic. But I can usually read nearly any genre as long as it is well-written and original. I most love to read science fiction books, though fantasy and contemporaries are a close second. :) Thanks for the giveaway! I love historical fiction and contemporary, but I like to expand my comfort zone and read diverse books! YA Fiction, Fantasy/Adventure, and Romance. I read some Fiction and Mystery also. I love YA fantasy and paranormal! Fantasy with really down low Sci-fi. I love paranormal and especially love novels with Private detectives solving supernatural crimes/mysteries. Or body guard novels. My favourite genre is definitely Paranormal. I love the weird and the creepy! YA is definitely my favorite genre. I really read just about anything under it. Right now I've been really into Fantasy. I read mostly books from the YA category. The genre depends on my mood. I love historical fiction and fantasy (even though I'll read pretty much anything YA).